Fuente: QUANTRILL, Malcolm. 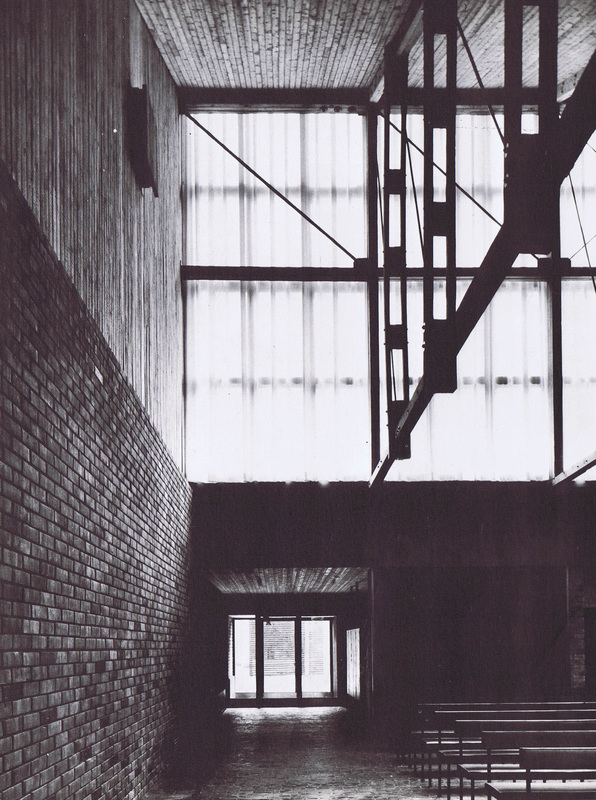 Finnish Architecture and the Modernist Tradition. 1ª edición. Londres: E& FN Spon, 1995. Páginas 111-112. ISBN 0 419 19520 3. 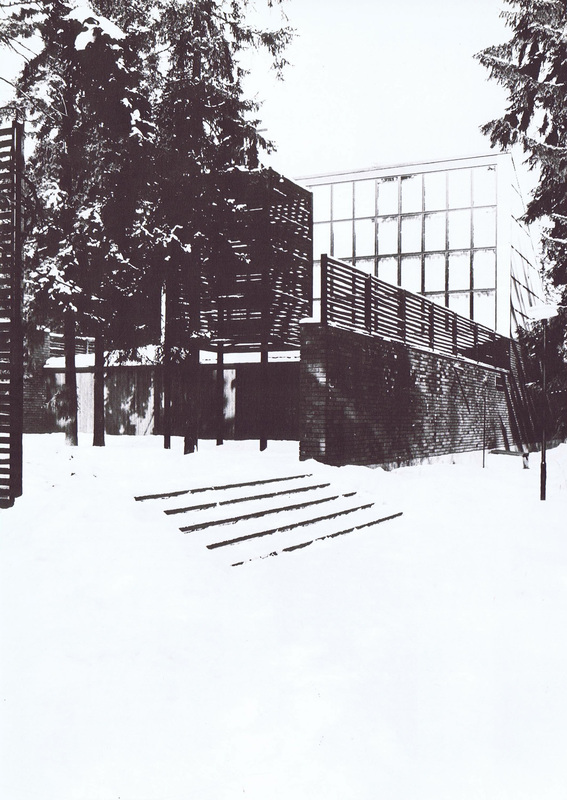 In 1954 an important competition provided a landmark in postwar Finnish architecture. 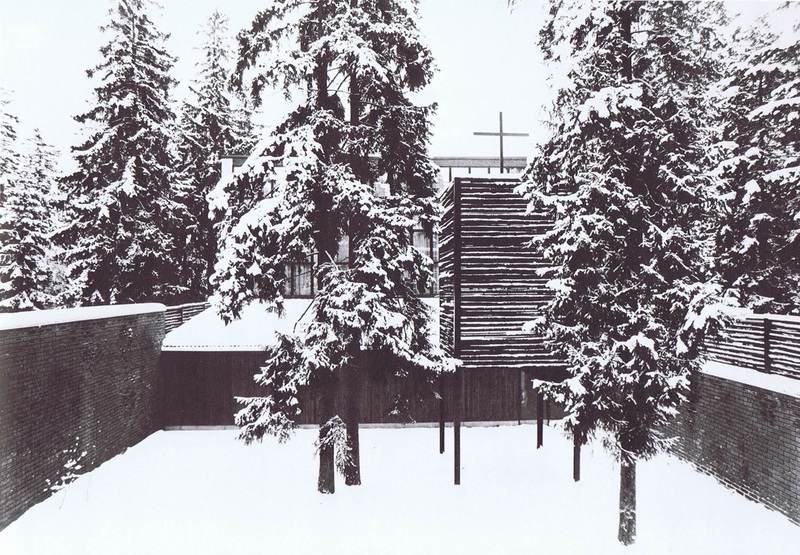 This was for the Otaniemi chapel on the campus of the Helsinki Technical University.” The winning design, by Erkii Pasanen and Kuoko Tiihonen, exhibited a strong influence from Bryggman’s Turku Funeral Chapel, as did the entries of the other prize winners, Martikainen and Ypyä and Pentti Petajä and Esko Hyvärinen. Indeed, only Heikki and Kaija Siren really broke new ground with a design that combines the clarity of Mies van de Rohe and the charm of Aalto’s forest imagery. 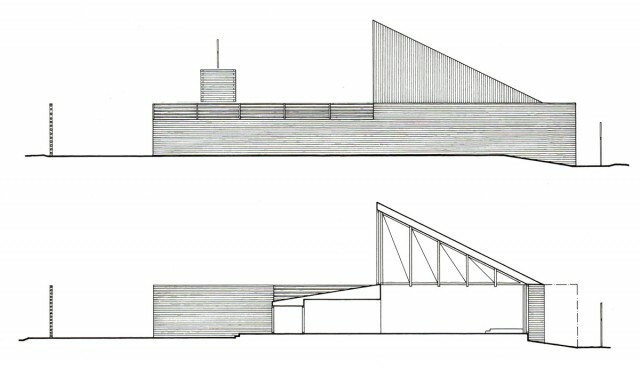 The winning design was not built was not built and the Sirens’ were awarded the commission as recommended by the jury, although they received only the purchase prize as they broke the competition rules. The Sirens’ chapel was completed in 1957. 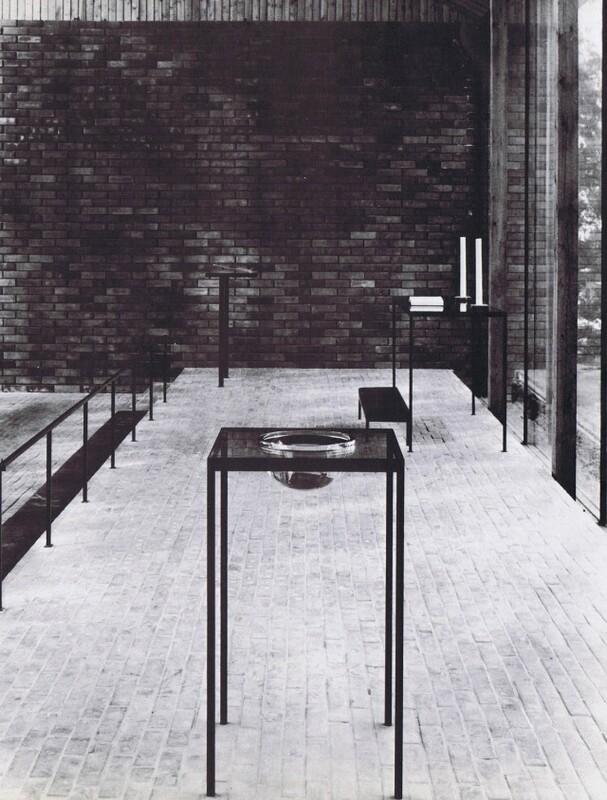 The tough simplicity of the Otaniemi Chapel combines the best of Mies ‘classicism with the warmth of Aalto’s more organic approach and might be described as the Finnish response to Le Corbusier’s Notre Dame at Ronchamp in France. 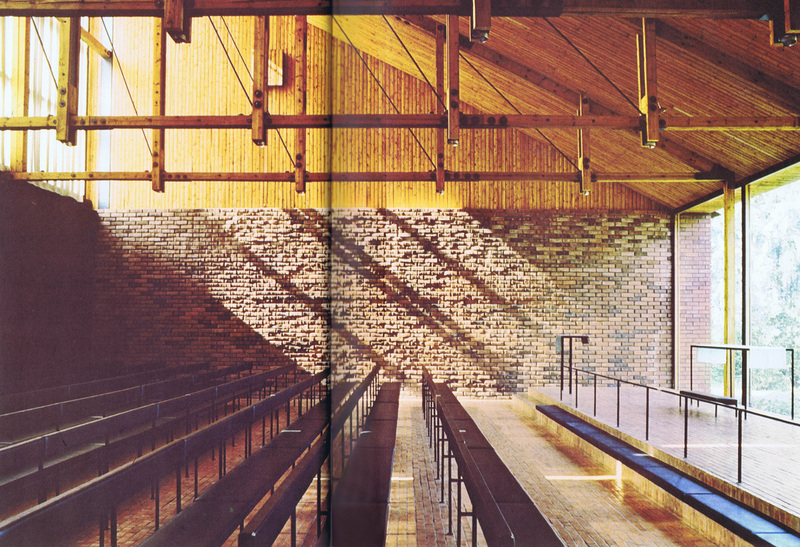 The chapel is an intense spiritual space, whose sanctuary is entered form a small, walled court within a woodland glade. 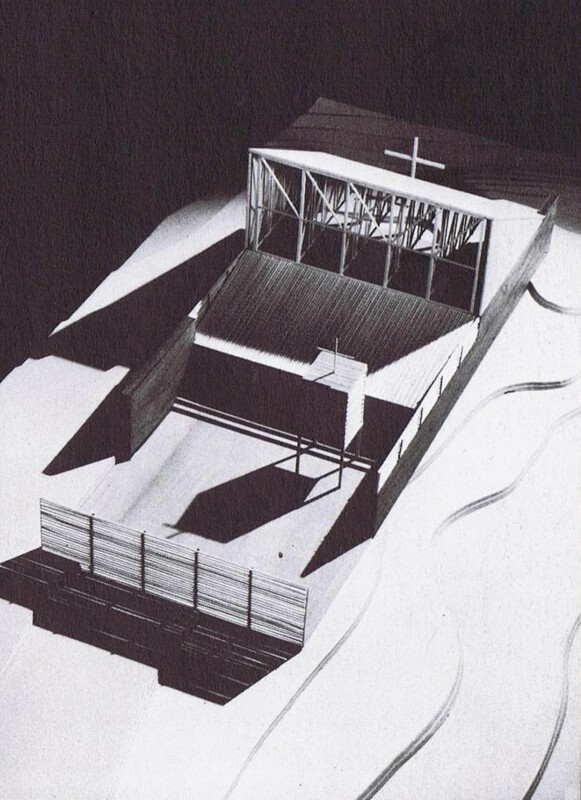 This gentle introduction through a court that, like the Villa Mairea is both Finnish and Japanese in spirit, brings us into the simple, wedge-shaped box with its monopitch roof. In the tradition of Finnish eighteenth- and nineteenth- century country churches, this sanctuary is dominated by the carpenter’s art. 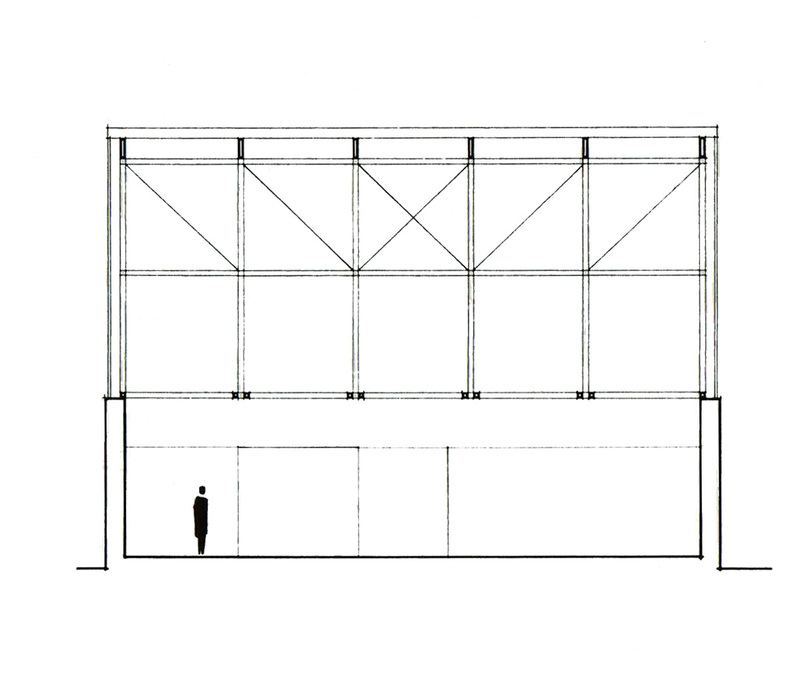 The Sirens’ design allows the triangular, rough wooden trusses to fill the upper part of the building volume, directing our attention towards the glass wall of the east end. 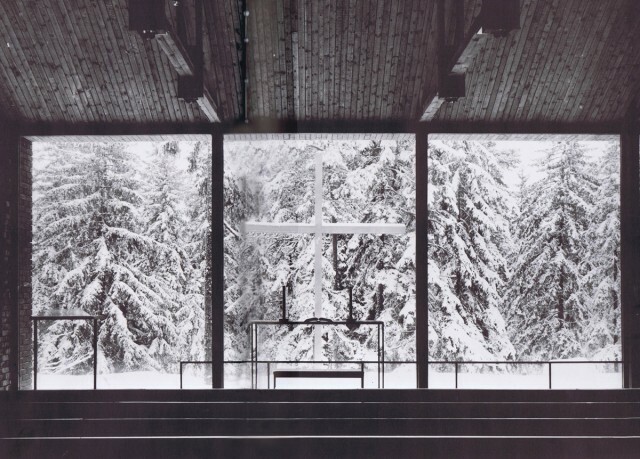 Against this glass wall the skeletal steel altar and communion rails remove all effective barriers between the priest, congregation and forest beyond. Visitors to the Otaniemi Chapel experience a poetic sequence of spaces, coming out of the trees into the courtyard with its floor of small stones, entering the powerful enclosure of the brick walls, being exposed to the full revelation of the architectural idea in those taut, compelling trusses, then looking out again into the forest from which they have come. But in this progression we have passed from the world of natural through the world of ritual, so that the revelation of the forest is again transformed by humanity’s architecture. Pingback:	Siren > Otaniemi Chapel. 1957 | andrej w.
Preciós projecte, sempre em fascina. Netedat constructiva i conceptual, amb el valor afegit de l’ús dels materials autòctons. Creació i integració agafades de la mà. Un projecto muy interesante de una sencillez increible. Gracias por haberlo publicado aqui, no lo conocia ! Excel.lent projecte. Records des de Noruega.